Want to see a movie, but not sure what's worth your time (and money)? Don't miss this week's lineup of acclaimed movies showing on the big screen in and around Cary. 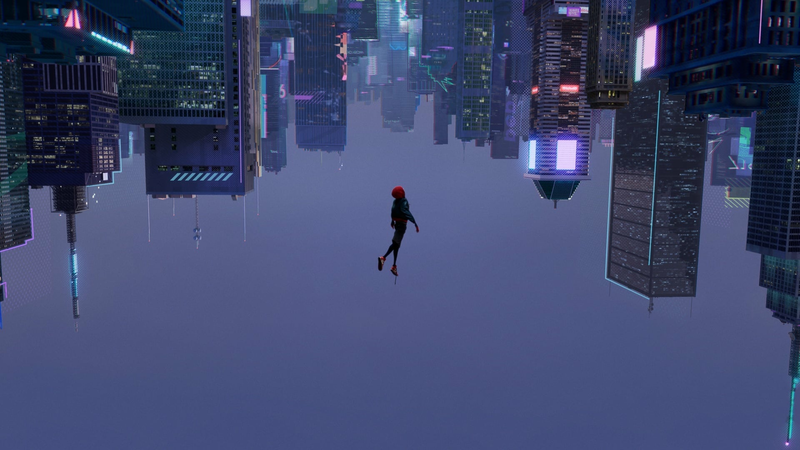 With a critical approval rating of 97 percent and an audience score of 94 percent on Rotten Tomatoes, "Spider-Man: Into the Spider-Verse" has proven to be a critical darling since its release on Dec. 14, with a consensus that "'Spider-Man: Into the Spider-Verse' matches bold storytelling with striking animation for a purely enjoyable adventure with heart, humor, and plenty of superhero action." The film has been nominated for a Golden Globe for Animated Feature Film. It's screening at Regal Crossroads Stadium 20 & IMAX (501 Caitboo Ave.) through Wednesday, Jan. 9; Frank Theatres Parkside Town Commons Stadium 11 (1140 Parkside Main St.) through Monday, Jan. 7; and Cinebistro Waverly Place (525 New Waverly Pl.) through Thursday, Jan. 10. Click here for showtimes and tickets. With a critical approval rating of 94 percent and an audience score of 94 percent on Rotten Tomatoes, "The Favourite" has become a favorite since its release on Dec. 14. Per the site's summary of critic reviews, "'The Favourite' sees Yorgos Lanthimos balancing a period setting against rich, timely subtext -- and getting roundly stellar performances from his well-chosen stars." The film is nominated for five Golden Globe awards. Catch it on the big screen at Regal Crossroads Stadium 20 & IMAX (501 Caitboo Ave.) through Wednesday, Jan. 9. Click here for showtimes and tickets. With a critical approval rating of 93 percent and an audience score of 79 percent on Rotten Tomatoes, "Bumblebee" has garnered plenty of praise since its release on Dec. 21. The site's critical consensus notes that "'Bumblebee' proves it's possible to bring fun and a sense of wonder back to a bloated blockbuster franchise -- and sets up its own slate of sequels in the bargain." Get a piece of the action at Regal Crossroads Stadium 20 & IMAX (501 Caitboo Ave.) through Wednesday, Jan. 9, and Cinebistro Waverly Place (525 New Waverly Pl.) through Thursday, Jan. 10. Click here for showtimes and tickets. Follow Adonis Creed's life inside and outside of the ring as he deals with newfound fame, issues with his family and his continuing quest to become a champion. With an 83 percent critical approval rating and an audience score of 84 percent on Rotten Tomatoes, "Creed II" has been getting attention since its release on Nov. 21, with a consensus that "'Creed II''s adherence to franchise formula adds up to a sequel with few true surprises, but its time-tested generational themes still pack a solid punch." It's playing at Frank Theatres Parkside Town Commons Stadium 11 (1140 Parkside Main St.) through Monday, Jan. 7. Click here for showtimes and tickets. With a 64 percent critical approval rating and an audience score of 81 percent on Rotten Tomatoes, "Aquaman" is well worth a watch, with a consensus that "'Aquaman' swims with its entertainingly ludicrous tide, offering up CGI superhero spectacle that delivers energetic action with an emphasis on good old-fashioned fun." Catch it on the big screen at Regal Crossroads Stadium 20 & IMAX (501 Caitboo Ave.) through Wednesday, Jan. 9; Frank Theatres Parkside Town Commons Stadium 11 (1140 Parkside Main St.) through Monday, Jan. 7; and Cinebistro Waverly Place (525 New Waverly Pl.) through Thursday, Jan. 10. Click here for showtimes and tickets.